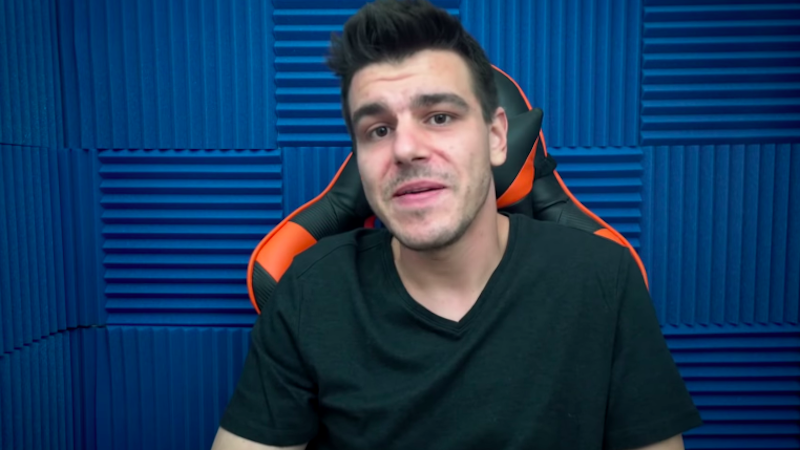 Former IGN editor Filip Miucin, who was fired this week after an investigation into allegations that he had plagiarized a video game review, responded last night on his YouTube channel, telling viewers that there were “a lot of circumstances” surrounding the review and that he did not intend to plagiarize from another channel. On Tuesday night, a small YouTuber named Boomstick Gaming published a video with the title “IGN Copied my Dead Cells Review: What do I do?” In it, he laid out a compelling case that the official IGN review of Dead Cells, written by Miucin, was a rewritten version of his own review, which had been published several days earlier. On Wednesday, IGN investigated, and the outlet fired Miucin that evening. Miucin had not publicly responded until last night’s video. In it, he also apologized to Motion Twin, the maker of Dead Cells. He did not apologize to the YouTuber Boomstick Gaming, but he said he has “nothing but the best wishes” for him and offered him advice for the future. He added that people have been sending nasty messages not just to him but to his family members’ social media accounts. The video has not been received well, and is currently sitting at around 1,700 upvotes and 8,300 downvotes. Miucin also mentioned Kotaku’s reporting on the story, naming me specifically. On Wednesday night, we learned that before he was hired at IGN, Miucin had put out a video review of FIFA 18 on Switch that was full of striking similarities to a Nintendo Life review published a few days earlier. It actually works well; as long as you aren’t a stickler for intricate animation detail, you’re going to have fun here. It runs smoother than a greased-up jazz musician too, with a full 60 frames per second in both docked and handheld mode making for a silky performance and the general feel that you’re playing a high quality product. Although its (slightly less silky-smooth) cutscenes and other close-up moments reveal that the character models are a good deal less detailed than their Xbox One and PS4 counterparts, squint a bit during normal gameplay and you’d genuinely struggle to tell the difference. But when you’re playing the game, it actually works really well, and it’s easy to look past the graphical setbacks. Because whether you’re playing docked or undocked, the game seems to run at a consistent 60 frames per second, which looks silky smooth and really leaves you feeling like you’re having a true triple-A home console experience but on a console you can take with you on the go. However, when you get up close and get a good look at some of the character models, it’s pretty clear they do have a good amount of less detail than the Xbox One and PS4 versions do, but any imperfections are pretty much unnoticeable during gameplay. Publicly and privately, IGN employees have been fuming about Miucin’s video, with some reaching out to me last night to express anger and bafflement at how the former reviewer has handled this situation. “Just to be abundantly clear, plagiarism isn’t a mistake: it’s a choice,” wrote IGN PC editor Tom Marks. IGN has also re-reviewed Dead Cells. To hear more of our thoughts on the matter, check out this week’s episode of Kotaku Splitscreen. UPDATE (10:57am): Not long after I posted this article, another tipster reached out with a third example of a Miucin review that looks very similar to another outlet’s work. On September 8, 2017, Engadget posted a review of Metroid: Samus Returns. On September 13, 2017, Miucin posted his own video review of the game. Miucin: Samus Returns takes the legendary hero and franchise back to its roots, with everything from its satisfying enemy encounters and intelligent level design that encourages exploration to the traditional 2D action platforming style that literally helped define an entire genre of video games. Engadget: Samus needs to plunder the depths of planet SR388 and exterminate the Metroid, but this time players have extra tools to keep the experience from being frustrating. Miucin: Samus is sent down into the depths of planet SR388 on an extermination mission to eliminate the Metroid threat. However, this time around, players have a few extra power-ups to keep their experience feeling fresh and up to par with the modern standards of gaming we’ve all quickly grown to love. Engadget: For veterans of the franchise’s more traditional games, it feels like coming home. Samus Returns builds on the tight, exploration platforming of Super Metroid, Metroid Fusion and Metroid: Zero Mission, and then adds to it. Miucin: For fans of the more traditional style games in the series, you’ll immediately feel right at home playing Samus Returns, because it shares the same near-perfect formula of exploration platforming with the other entries in the franchise like Super Metroid, Metroid Fusion, and Metroid: Zero Mission, but then greatly builds upon it with some really interesting new gameplay mechanics. Engadget: Samus can still shoot up, down and diagonally, but holding R activates a precision-aiming mode with full range of motion and a targeting laser. There’s also a new counter-attack move that can knock back an enemy. Time it just right, and it’ll throw an attacker off balance and set them up as a perfect target. Miucin: In terms of combat, Samus can of course still shoot up, down, and diagonally, but holding R now activates a precision aiming mode that allows for full range of motion and some extremely precise aiming. There’s also a really cool new counter-attack that adds a completely new dynamic to the combat itself. I’ve again reached out to Miucin for comment.